When Justin Bieber and Selena Gomez got back together late last year, I was the only one here who was for it. Kathleen and Emily, our site manager, were very, very concerned about Selena and the impact JB would have on her health. In the end, they didn’t have to worry very long. Ultimately JB and Selena couldn’t make it work. And now, just three months after they ended their relationship, for the third time (or fourth? ), he’s engaged to Hailey Baldwin. Which, to me, isn’t surprising at all. I just aimed at the wrong target. As I wrote back in November 2017, this is what happens when people get back together. There’s a reason that people often say that “love is a drug”. Falling in love feels like a high. And falling back into love can, sometimes, be like going back to an addiction. Many addicts, when they relapse, go right back to using the same amount they used right before they got clean, often with dangerous results. Getting back together is like that: it’s instant deep, it’s instant intensity. And that intensity pushes the relationship beyond what it was, because you’re compelled not to go backwards and not to stay the same. I thought Justin would propose to Selena. He ended up proposing to Hailey. Different girlfriend, same compulsion. So where does that leave Selena? 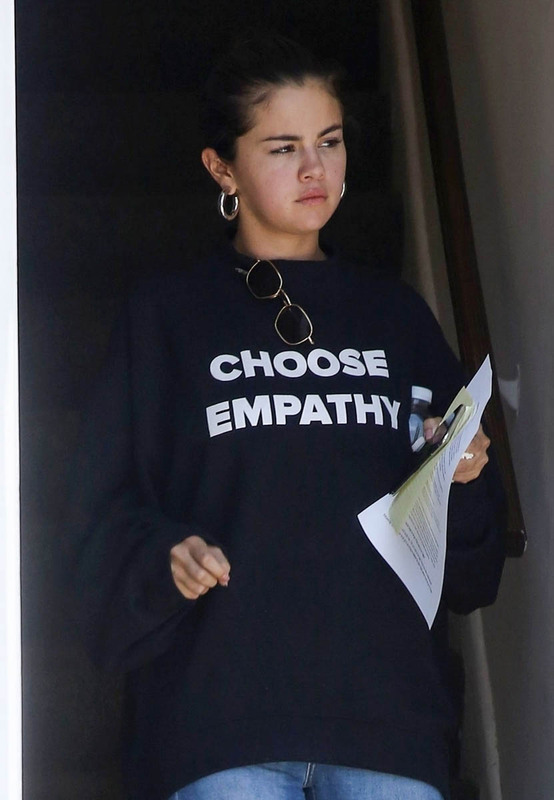 #SelenaIsFreeParty then started trending because, of course, Kathleen and Emily weren’t the only ones who didn’t approve of Jelena. Is she really and truly free though? Are they really and truly free of each other? Because if that’s the end goal, what has to happen is that we eventually never think of Selena when JB’s name comes up and vice versa. Example: I never, ever associate Rihanna with Chris Brown anymore and I barely associate Rihanna with Drake anymore. Will that ever be the case with Selena and Justin? 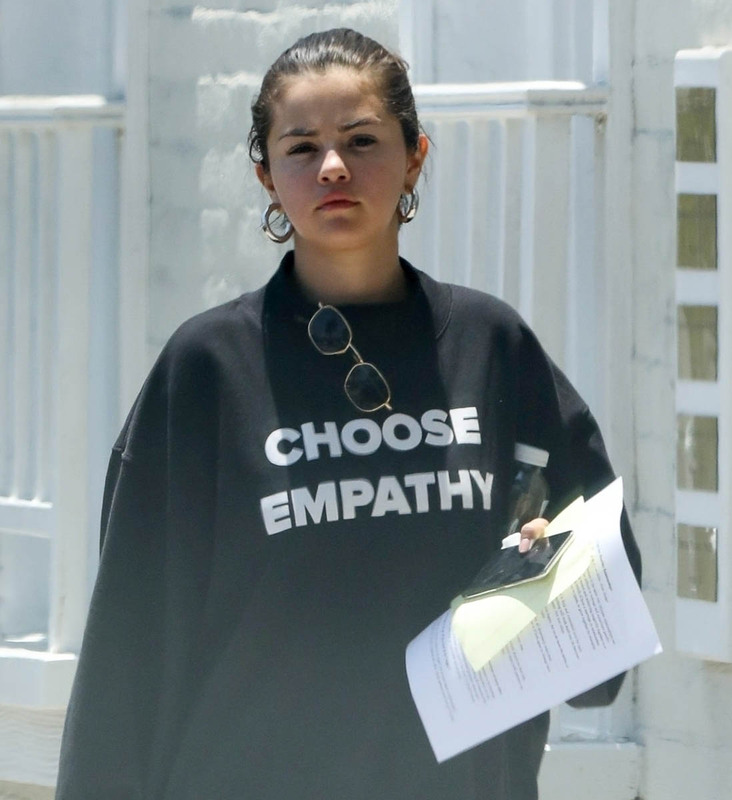 Attached - Selena Gomez out in LA last week.